Gliding and bouncing low over the grasslands and marshes of New York state, the Northern Harrier (Circus cyaneus) is one of New York’s more distinctive birds of prey. Unlike high soaring eagles and hawks, harriers spend most of their time close to the ground (except during migration), be it while hunting, roosting, or nesting. 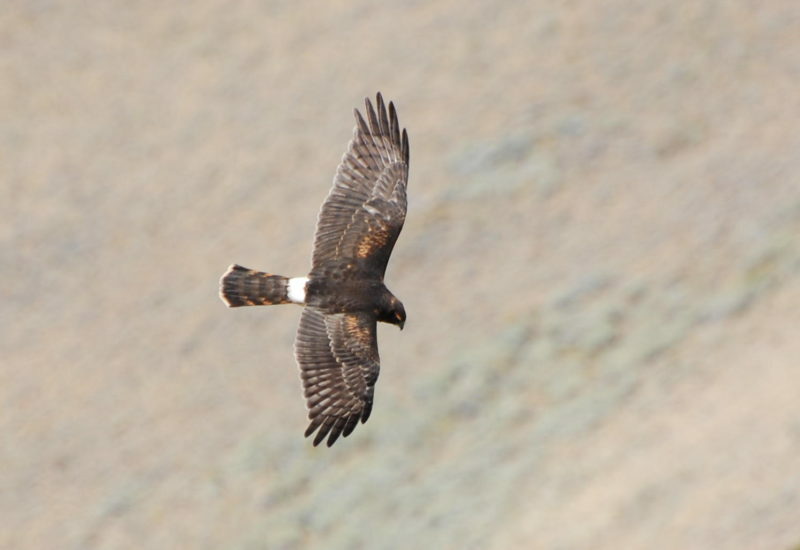 In addition to their low altitudes, Northern Harriers can be easily identified by their long tails, white rumps, and owl-like faces. 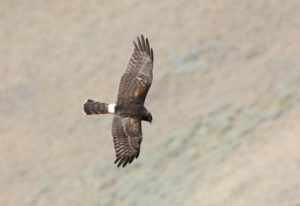 New York state is on the southern edge of the breeding range of this species with most Northern Harriers nesting in lower Canada south of the tundra and in Alaska. Unlike the stately nests of the Bald Eagle, harriers nest in tall grassland fields on the ground. 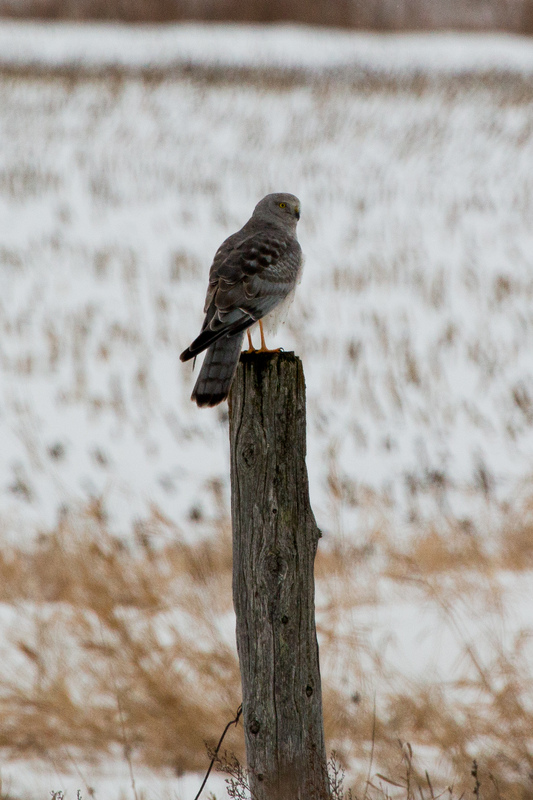 During their winter stays in New York state they will also roost communally on the ground, which is why winter birders frequently see more than one harrier hunting over the same field. Small to medium sized mammals (e.g., field mice and voles) and birds are the main items on this raptor’s menu. Harriers are among the early spring migrants, with their communal roosts breaking up in late February and early March so that they can be on their way back to their nesting grounds. Being a bird of the fields, Northern Harrier numbers probably increased when settlers came to New York state and cleared the forests to produce farmland. 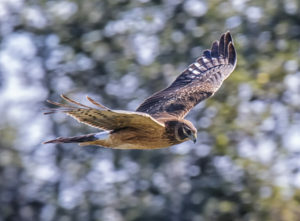 As agricultural land use have since diminished and the forests subsequently regrown, harrier numbers have declined in response to the loss of field habitats. 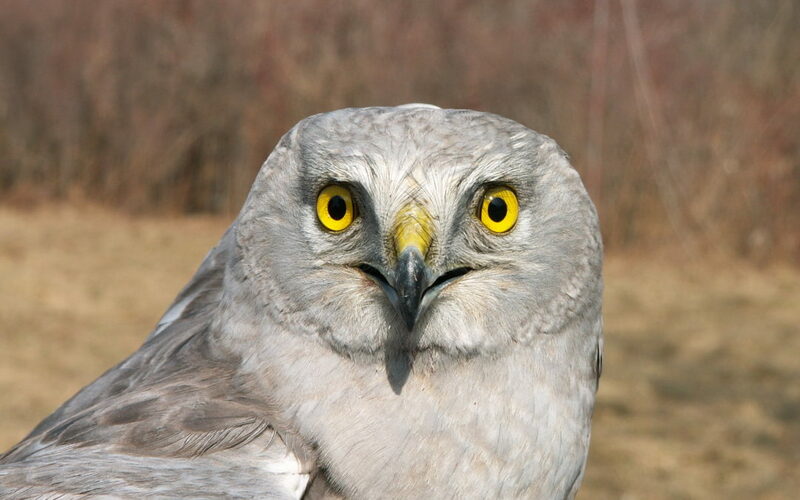 The Northern Harrier is the featured species of this year’s Bird of Prey Days event. Come on out to learn more about this stunning raptor.